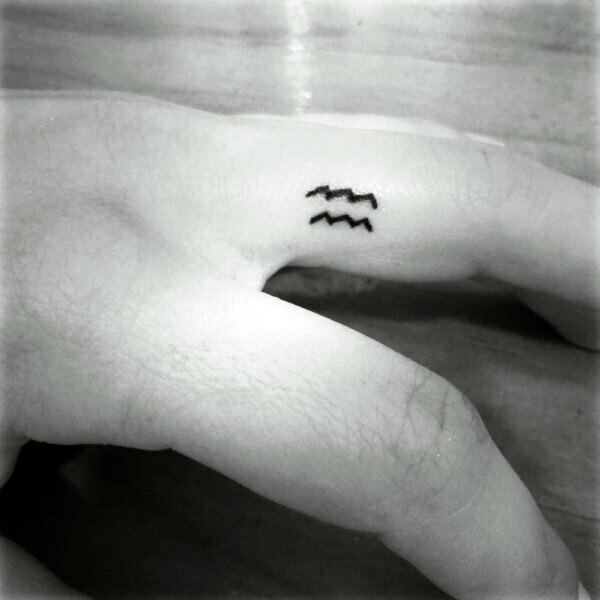 In the age of Aquarius it is not surprising to see many Aquarius tattoos for men in relation to the zodiac sign itself. 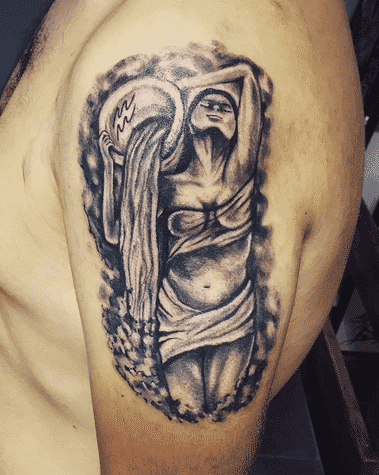 In today’s world it is highly likely that you have ran into a few people with an Aquarius tattoo not just because of the fact that we are in the age of Aquarius but also because there is an unprecedented number of people in the world today who have at least one tattoo inked onto their body. On top of that you may have ran into somebody with an Aquarius tattoo & just didn’t realize it. So first to have a clear understanding of the significance of the Aquarius tattoo we need to understand the very essence of the sign itself, before we delve into the various types, styles, versions and variations of the tattoo. Aquarius is the 11th sign of the Western zodiac and we come to find that this is a masculine sign. People born under this constellation are normally very socially intuitive. They have an inner drive to get along with everyone that is in their circle. They also are seen as people who are very progressive as they are here to help the world around them move forward because of their natural resonance for new ideas and thoughts that they constantly bring to the table. This is due to the sign being known as the “water bearer”. This explanation of this signs’ characteristics makes sense when you realize that water is a biological memory storage device. Aquarius are here to remind the world of what we once were or what we are capable of, thus their social skills are geared specifically for that purpose! 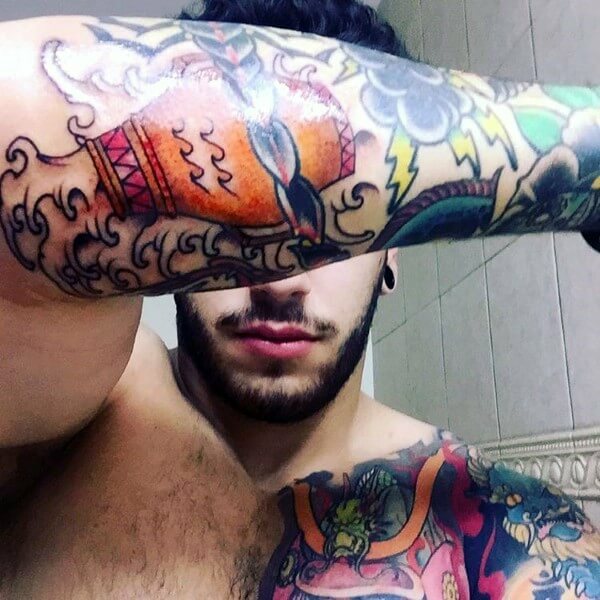 Aquarius tattoos for men has been somewhat of a popular thing mainly because of the signs masculine nature. This causes men to be more resonant with its physical expression whether it’s art of the skin or art of another means. Another reason why Aquarius tattoos for men has been so popular is because of the signs natural affinity with intelligence, as this is the signs slogan put into one word. Naturally men are drawn to this in todays world as it’s the masculine that is associated more so with intelligence and logical thinking. 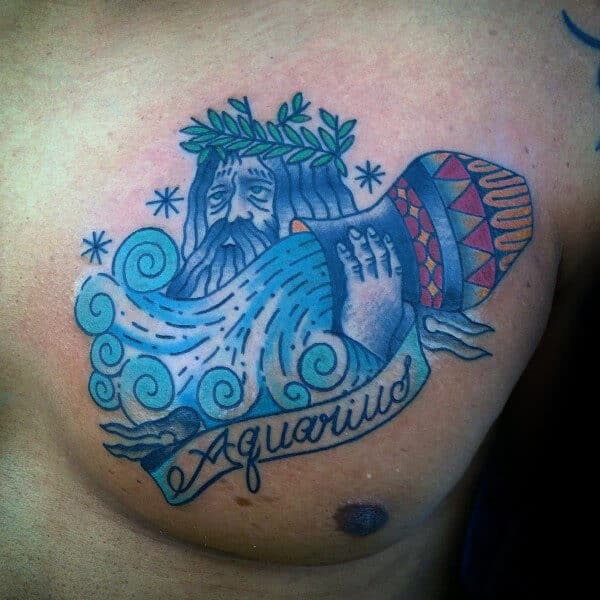 What are the most popular Aquarius tattoo designs available? There are many different expressions for the Aquarius tattoo but most commonly you will find tattoos with the classic old man, long hair -long beard combination, holding a vase or bowl of water. Some tattoos don’t have an old man involved rather just a vase of water with an emphasis on the water. Other times you will find an expression of the Aquarius constellation. Mostly one will find tattoos of the most common of the Aquarius type, which are just two oceanic waves stacked upon each other. You might find other added components but these are the main aspects of the tattoos that really make it an Aquarius tattoo. Though individually all these different styles of tattoos may have differing expressions based on each persons personal truth on what being an Aquarius truly means to them, but we can see that these tattoos represent a wide range of characteristics; these include intelligence, the access & capability to spread new ideas as Aquarius is a sign of progression. They can also represent the well being of humanity. 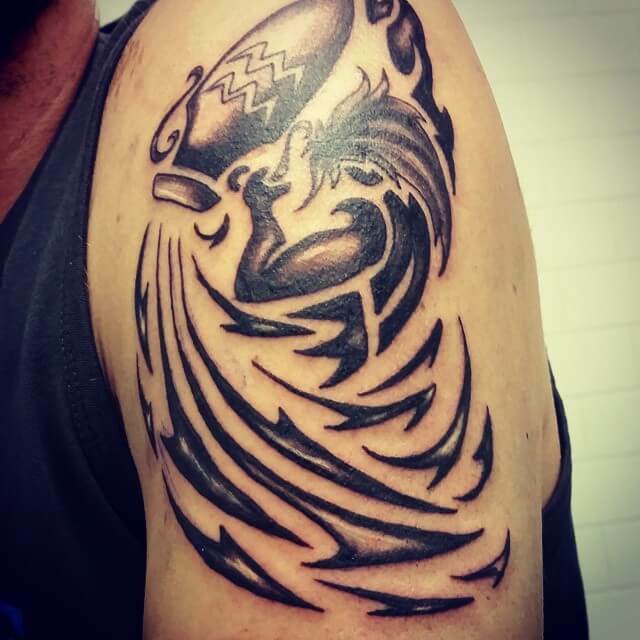 This is a strong Aquarius tattoo that depicts the manly nature of Aquarius men. This is clearly illustrated by the image of the god. The fin, scales and water waves around the masculine god are the real images of an Aquarius. If you are looking for a fun and secretive way to ink your Aquarius sign then this is a grand Aquarius tattoo design. The male water carrier as well as the water waves around him are drawn in black ink in a simplified way that isn’t too obvious to the naked eye. This tattoo design is for those who want to wear their sign with pride. The fact that it is in black and white draws all the focus on the female water carrier and nothing else. 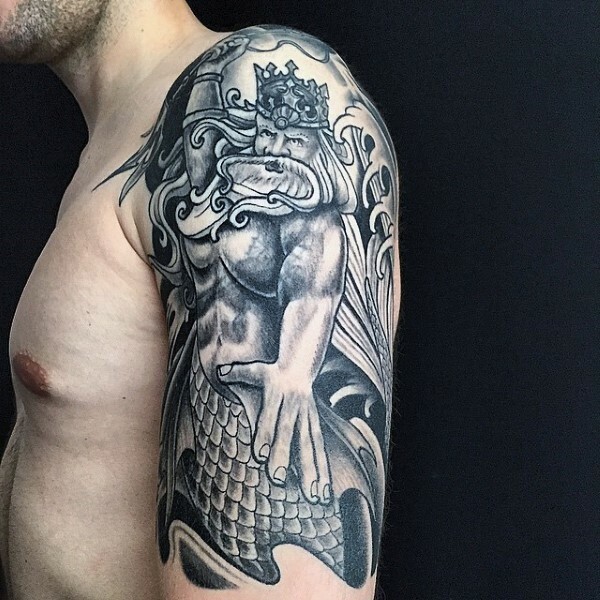 A great way to bring a twist to your Aquarius tattoo for guys is by having the true water carrier image on one side of your arm. The twist comes through with the fire skull on the inner part of the arm. Own it by including your name on it. Wearing your sign close to your heart is brave and true. Choose to wear it with the water and pot images only. These should be colored but you can bring in a little indifference by leaving a bit of it un-shaded. A bold way to wear your Aquarius tattoo for men is on your arm. The bold colors could be used to be used to show that you are proud of it. 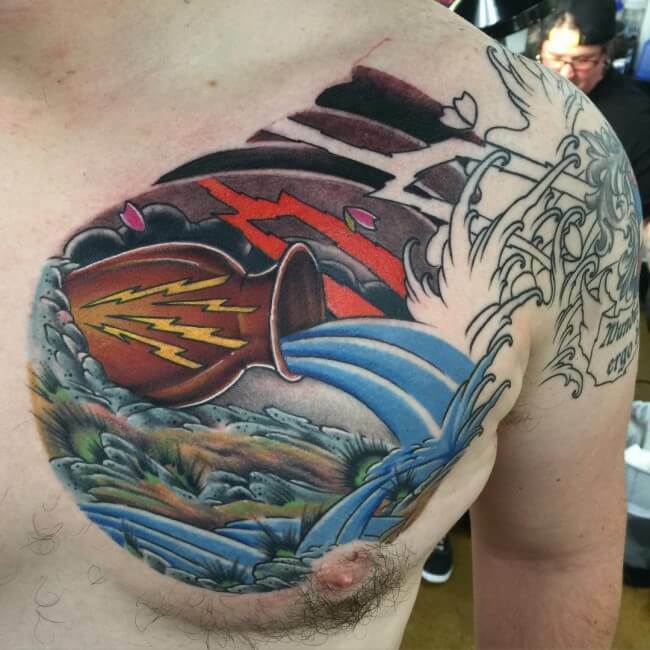 The water jar and waves stand out especially if you have other tattoos around it. 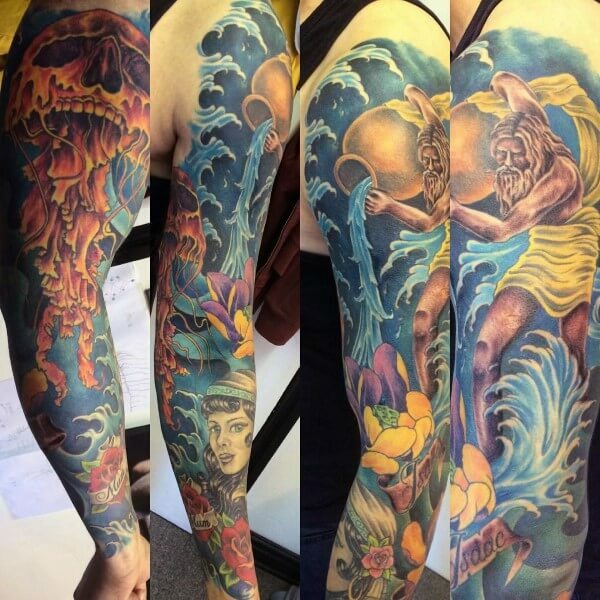 Adding color to your tattoo makes it realistic and clearly tells its story. In this case, all the idols are well represented with life illustrated by the healthy beautiful flowers but just like any good story, a twist to this one is clearly depicted by the black skull. If you are looking for a simple way to wear your star sign with pride or are simply not a big fun of tattoos then you should gibe this a try. The true symbol of Aquarius is water waves and these three lines do it in a cool manner. Wear your sign with pride over your heart in a simple yet defined style. 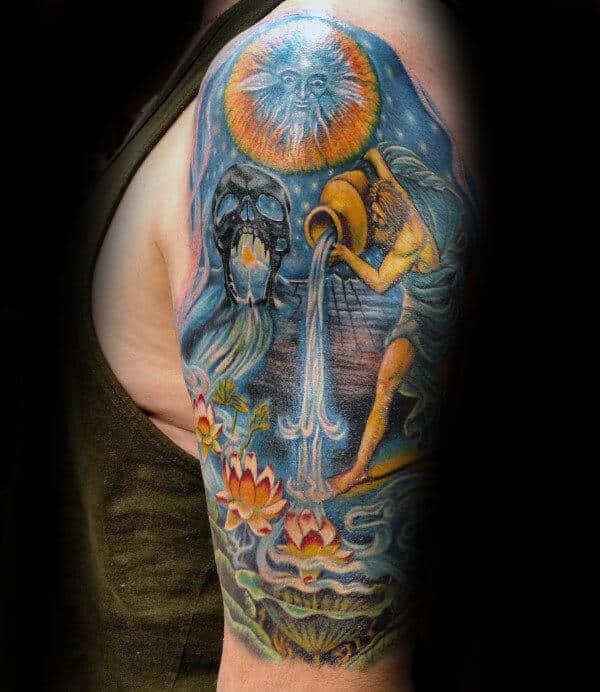 In this tattoo, the god, the water and the jar stand out in a bold blue color. Sign it with the word ‘Aquarius’ beneath it. Any Aquarius knows that water is life. 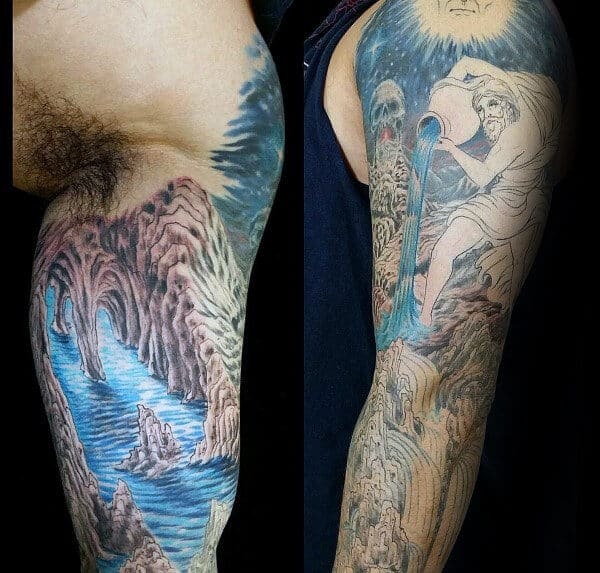 This Aquarius tattoo idea occupies the entire sleeve with the water standing out bolder than any other feature. The cave on the inner arm only emphasizes it.